The CBD is a kind of cannabidiol that is found in the cannabis. The Cannabis comprises of several active cannabinoid and one among them is CBD. The concentrated form of the CBD can be found in the liquid form that is CBD oil also called as the vape oil or vape juice. The CBD E-liquid is heated and inhaled through the vaporizers, vape pens or e-cigarettes. Vaping is the main and primary purpose of producing CBD E-liquid. 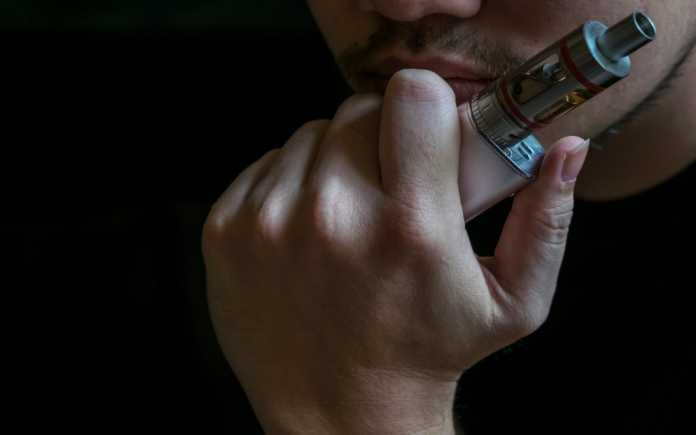 The e-cigarettes are gaining a lot of fame among the smokers which led to the expansion of e-liquid and vaporizers to the natural health world. But there is a myth considered by the people that states that the CBD gets people high. Does it? No, the CBD contains very minimal or say no traces of THC that will not get anyone high when consumed or inhaled. In fact, the CBD E-liquid has many medical benefits that help dealing with different disorders and painful diseases. Below we have listed a few of the medical and best uses of the CBD E-liquid that can help dealing with various diseases. The 5 best uses of CBD E-liquid are. Anxiety is much more common issue faced by the middle-aged adults due to the stress, heavy workload, hyperactivity etc., and to your surprise, this common disorder can be reduced with the use of CBD E liquid. The study proves that CBD is effective on 12 generalized social anxiety disorders. The CBD can also be used for pain management. Studies prove that the psychoactive component of cannabis is very effective in reducing pain when combined with the CBD. There is evidence that states CBD is good for the neuropathic pain, and also the pain related to inflammation. The combination of THC and CBD to treat pain is a better medication where the cannabis is legal for medication and recreational purposes. The CBD E liquid is used for improving the skin’s appearance and reducing the signs and symptoms of acne and eczema. The topical application of the liquid is preferred and this proves to be a better option as it activates the powerful anti-inflammatory properties of CBD that can probably soothe the itches, swollen areas and redness on the skin. Another effective way to use the CBD is to treat the insomnia, interrupted sleep, post-traumatic stress, restless leg disorder, sleeplessness etc., The CBD oil is renowned for its strong and sedative quality and an ideal remedy for the treatment of Insomnia. Inhaling a bit of CBD E-liquid can help you get a good night sleep. The CBD E – liquid is able to release some hormones that regulate the different processes in the body and one among them is the appetite. The hormones when released control satiety and hunger. The levels of these hormones are optimized depending on the needs of the body and thereby allow you to maintain a proper and healthy appetite. The highly concentrated CBD E-liqiuid shows positive effects on various health problems like when dealing with the Epilepsy. It is also said that the growth of cancer and tumor in the body can also be controlled with the use of CBD E-liquid. The use of CBD makes an individual’s body less susceptible to the allergens and helps in dealing with the auto-immune diseases. It is also used to reduce the seizures. The CBD E-liquid is found to be very useful in dealing with all kinds of chronic pains that includes the nasty back pain and full body pain that are mostly experienced by the individuals suffering from cancer. The above uses of CBD E-liquid prove that the same has very positive effects and impact on our health. You can find the product in many e liquid clearance sections of the online stores and get it easily. But the liquid is highly concentrated and comprises of few elements that may have the negative impact on our body when consumed more than the amount prescribed. So, make sure you find out the way to use the CBD E-liquid before you consume. Stay safe, stay healthy!